Facebook shares are down 18% from last week's offering price. NEW YORK (CNNMoney) -- Regulators are looking into a report that Morgan Stanley, the lead underwriter for Facebook's initial public offering last week, shared a negative assessment of the social network with major clients ahead of the IPO. Rick Ketchum, head of the Financial Industry Regulatory Authority, an independent regulatory body, acknowledged an article from Reuters saying that a Morgan Stanley analyst reduced his revenue projections for Facebook (FB) shortly before the offering and shared this with institutional investors. The report has raised questions about whether certain investors received privileged information ahead of the offering that should have been disseminated more widely. "If true, the allegations are a matter of regulatory concern to FINRA and the [Securities and Exchange Commission]," Ketchum said in a statement via a spokeswoman. An SEC spokesman declined to comment, though Reuters reported that agency chairwoman Mary Schapiro told reporters Tuesday that there are "issues that we need to look at specifically with respect to Facebook." In addition, the Massachusetts Secretary of the Commonwealth said it has issued a subpoena to Morgan Stanley (MS, Fortune 500) "in connection with the discussions by their analyst with certain institutional investors about the revenue prospects for Facebook prior to that company's initial public offering last week." 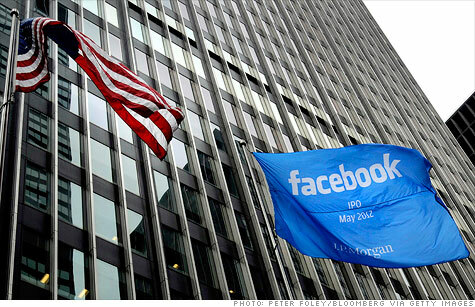 The news is the latest headache for Facebook and its underwriters following the company's debut on the Nasdaq Friday. Shares have since slumped 18% from the offering price of $38 amid criticisms that the company is overvalued. Morgan Stanley's analyst reduced his revenue projection for Facebook shortly after the tech giant filed amended documents with the SEC saying that it could struggle to maintain revenue growth as users flock to mobile devices, Reuters said. It was not clear whether this revised projection was shared with all clients or only a select group. In a statement, Morgan Stanley rejected any suggestion of impropriety, saying it followed "the same procedures for the Facebook offering that it follows for all IPOs." In response to Facebook's amended SEC filing, "a significant number of research analysts ... reduced their earnings views to reflect their estimate of the impact of the new information," Morgan Stanley said. "These revised views were taken into account in the pricing of the IPO."